Yeah, those cars-with-a-kitchen cost a bit. TDC needs one. For sure. That's awesome. I *could* actually park one on the east side of my house (with some modification to the gate). 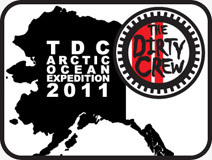 We just don't take enough moto camping trips ;-( Maybe some time down the road we'll have a TDC RV. That would be cool.